*If the public schools are closed or delayed due to inclement weather, there will be NO MORNING MASS. — the 3 most solemn days of the liturgical year. Begin the Triduum by attending Mass this evening. It's always nice to remember our loved ones who have passed before us. 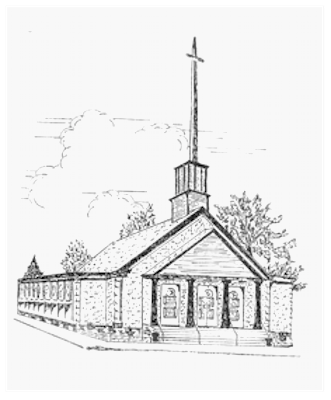 For a donation of at least $500 made payable to All Hallows Church (with AHFDC Memorial Donation in the memo), you can have a personalized nameplate placed on an available pew in All Hallows Church. This memorial donation will be used to help pay down the All Hallows Church debt. ​What better gift can you give than one which goes directly to your church while also remembering someone special! We are preparing a Cookbook Fundraiser featuring your FAVORITE RECIPES ​from all of our parish families at All Hallows, St. John & St. Augustine churches. Recipe collection sheets may be found in the entrances of the 3 churches in the cluster or you can DOWNLOAD + PRINT the recipe collection form. Please send your completed form to the address listed on the submission form. The Census Committee will be contacting all parishioners currently listed on the 2006 Census by phone and by postal mail. All parishioners need to complete the Registration/Census form so that we can update your information in the parish computer system. If you are not on the list and wish to register as a parishioner, please complete the Registration form supplied in the rack at both entrances and submit the completed form in the collection baskets at your next Mass. RECONCILIATION (Confession): 20 minutes prior to the weekday Mass or by appointment. HOSPITAL & HOME VISITS: Please notify the priest of family illness. 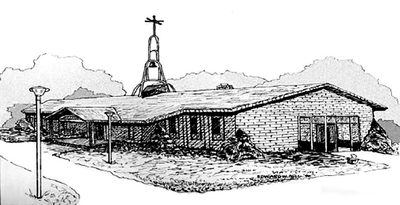 Please be advised that some institutions have an onsite chaplain. SACRAMENT OF THE SICK: Anytime by request, in the home of the sick. BAPTISM: Please contact the Church Rectory for an arrangement. MARRIAGE: ​Couples should call the Rectory at least six months in advance to reserve a date and make arrangements. 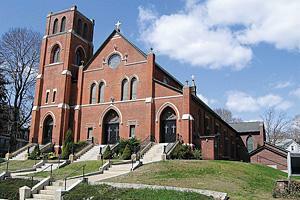 ​Daughters of Isabella meet on the 2nd Tuesday of each month at All Hallows. ​​All ladies from the cluster are invited to join! Spirit of Love Prayer group will meet twice a month on the 1st & 3rd Wednesday of every month from 6:30pm - 7:30pm in All Hallows Church Hall. ​Come and join us for prayer and praise! 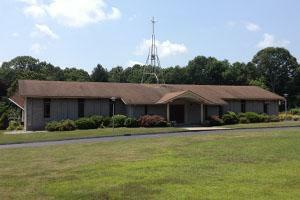 The legion is here to assist the pastor and parishes spiritually. The legion is open to both men and women. 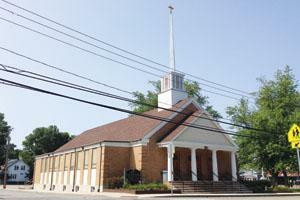 ​Meetings are every Monday at 1:00 p.m. at St. John Church in Plainfield. Members from all 4 parishes in the cluster are welcome! Get there early to get a good seat! Food and Drinks available for sale! If you are in need of handicap transportation or any transportation to a Mass, please contact Fr. Tad at (860) 564-3313 to make arrangements.